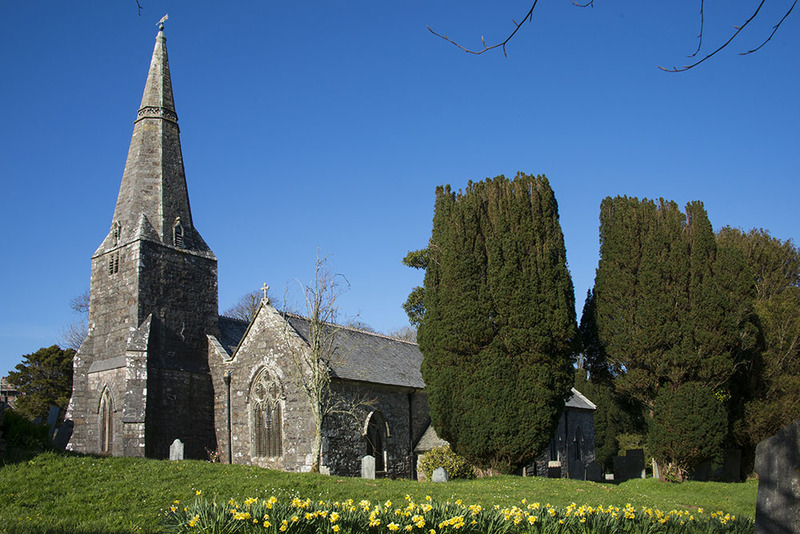 All Saints Church stands in the village centre near to the large 15th century cross base. It is set on a sloping site surrounded on three sides by a narrow “moat”. 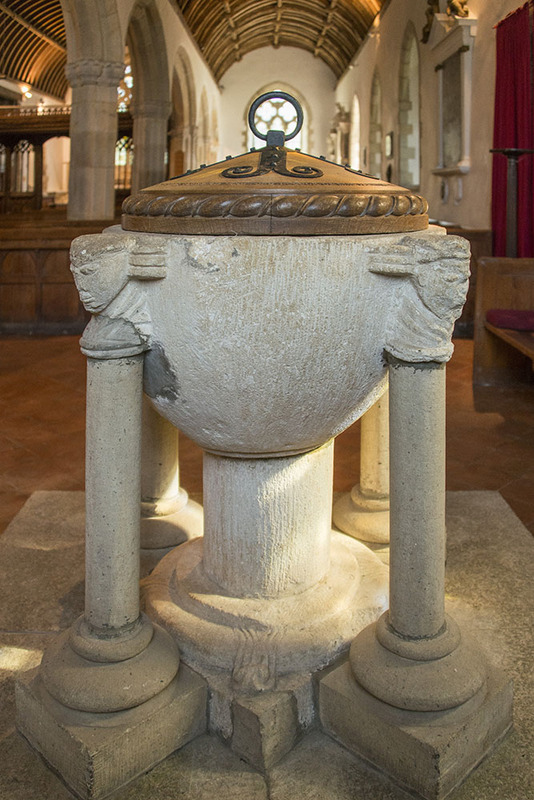 Some of the original Norman stonework remains in the lower courses of the N wall of the chancel and nave together with the font on its substantial central column with defaced carved heads above the corner pillars. The N porch may have been constructed in the 14th century, or the early to mid-15th century when the S aisle was probably built. The roof timbers remain but it was partly rebuilt in the 19th century. 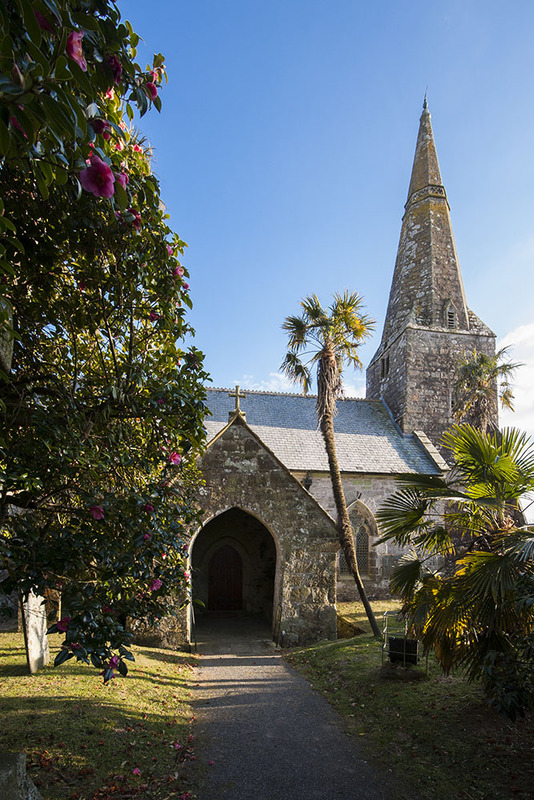 Also 14th century and maybe part even a little earlier is the two stage stone tower with a narrow west window, louvred openings and a broached octagonal spire with quatrefoil string course. The tower is known to bell ringers for its light peal of six bells (8cwt tenor) set vertically in three pairs above a very “cosy” ringing chamber, the proximity of The Crown Inn opposite is also noted by visiting ringers. The S aisle was constructed after the tower; separated from the chancel by an arcade of six bays, the larger arch opposite the N transept indicates that a matching S transept may have formerly existed. This aisle has a very fine wagon roof with a series of excellent bosses and floral decoration to the ribs above the Lady Chapel. Later in the 15th century the S porch was built but this is now only opened at weddings and funerals. The most arresting feature internally is the medieval rood screen, which now separates the nave from the chancel, but it was not always so. 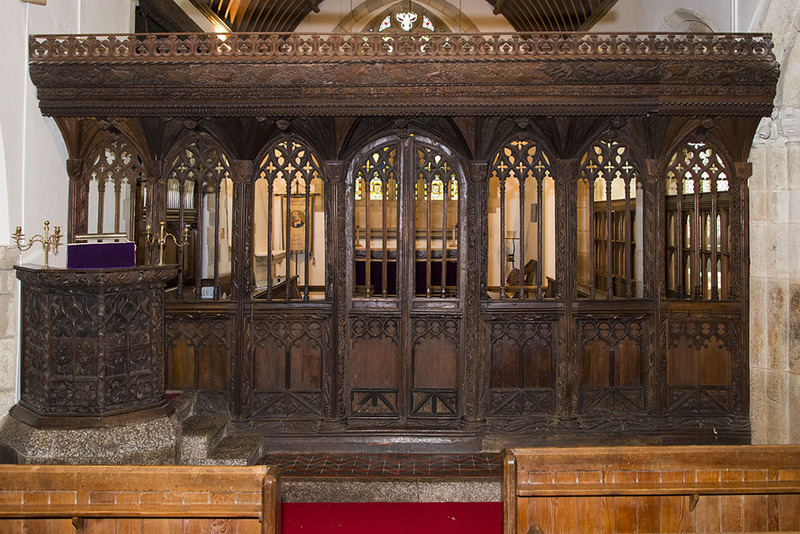 It is thought that it was originally set across the S aisle but, following destruction of the chancel screen, this section was placed across the transept arch by the Tredenham family around the time of Cromwell as they owned the transept. In the mid 19th century the screen was transferred to its current position which necessitated the addition of an extra bay on each side, giving three bays to both sides of the central double doors to fit the wider space. The pillars and cornice are deeply carved with an exotic range of real and mythical characters and intertwining foliage, a green man keeps an eye on proceedings on the chancel side. The screen now has a polished wood finish giving really no indication of the glorious red and gold decoration which was still evident on the doors in 1800. A copy of the 1676 seating plan for the box pews survives but not the pews themselves, all that remains are the ends of three pews and some mouldings which surround the pulpit. At least the 19th century pews are still extant and they have defied the modern practice of replacing them with chairs, a reassuring sight for traditional church visitors. Restoration of the monuments in the Lady Chapel to Richard Penkevill and William Mohun was undertaken the 1990s and the latter was moved to the S wall from its corner location diagonally opposite. 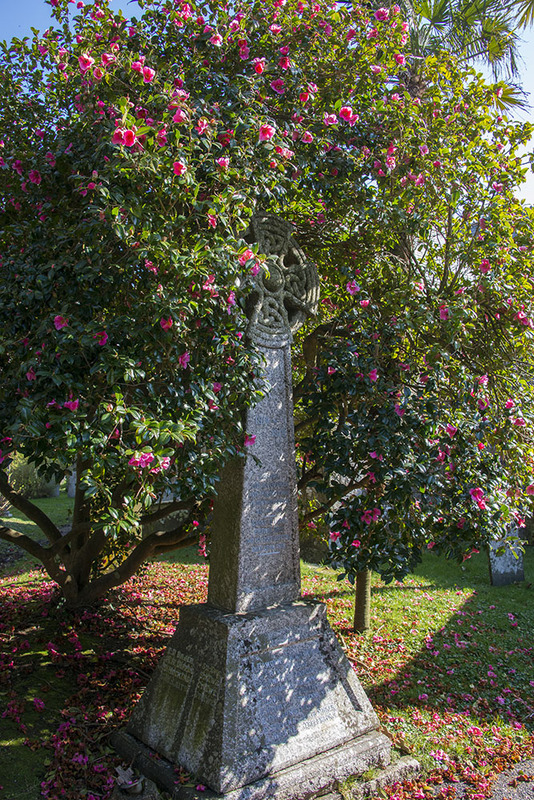 The war memorial by the front path is slightly askew on its base having been nudged by a car with a faulty handbrake which ran through the narrow gate posts and came to rest against it about 25 year ago. In 1959 it pleased the Bishop of Truro to be able to install Rev John Rham (pronounced ram) as the rector of St Ewe!